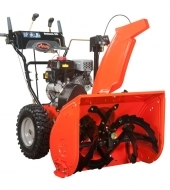 With the Ariens Platinum 28" SHO Track Snow Thrower 369cc AX Engine, removing the wet and heavy snow will not be a problem any more, as this machine is a very efficient one. Are you looking for a snow thrower that will provide you a maximum performance every winter, no matter how harsh it will be? 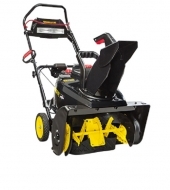 Do you want to get rid of heavy snow easily and quickly as well? 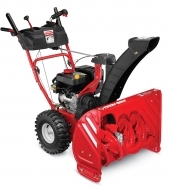 If so, then you must definitely purchase the Ariens Platinum 28″ SHO Track Snow Thrower 369cc AX Engine. 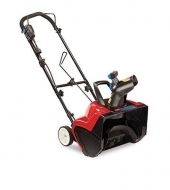 This product costs $2.460, and even if it is quite expensive, it is definitely a long-term investment. 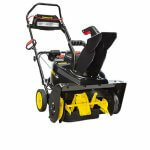 You will find below further information about this wonderful snow thrower. 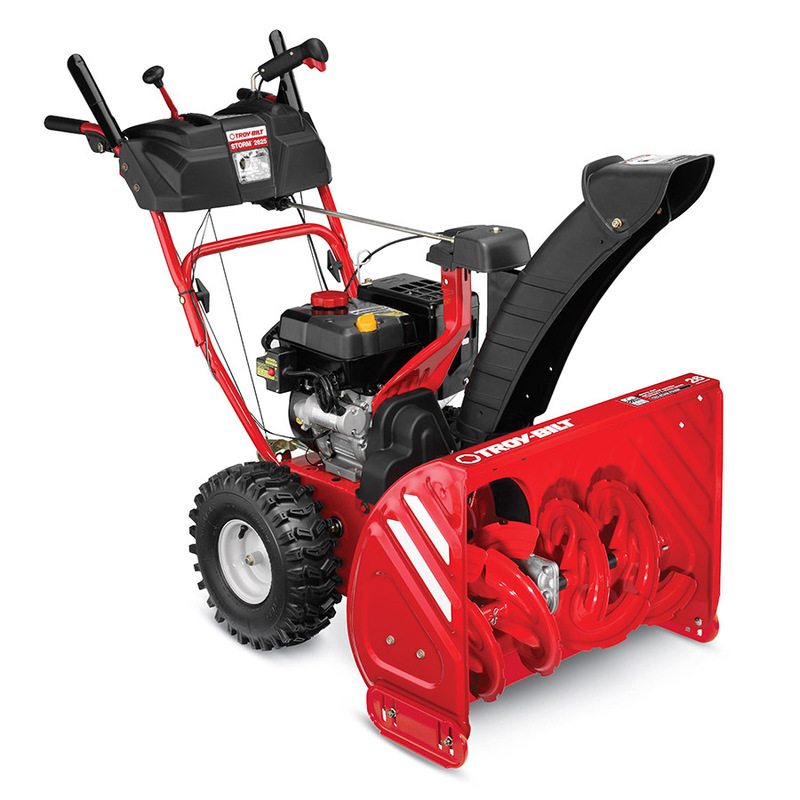 The Ariens Platinum 28″ SHO is a two-stage machine, with a powerful Ariens 369cc engine with 120-volt electric start and recoil start as well. 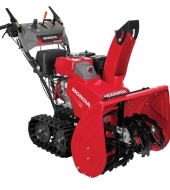 It has a 28 inches clearing width, 21 inches housing height, 3ft-55ft throwing distance, 200 degrees chute turning radius, and QuickTurn up to 200 degrees chute rotation, using just one lever. The unit shifts easily into any of the 6 forward or 2 reverse speeds. 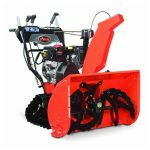 Maneuvering this machine will be quite simple due to 5.5 inches wide directional snow track, which will also improve traction. 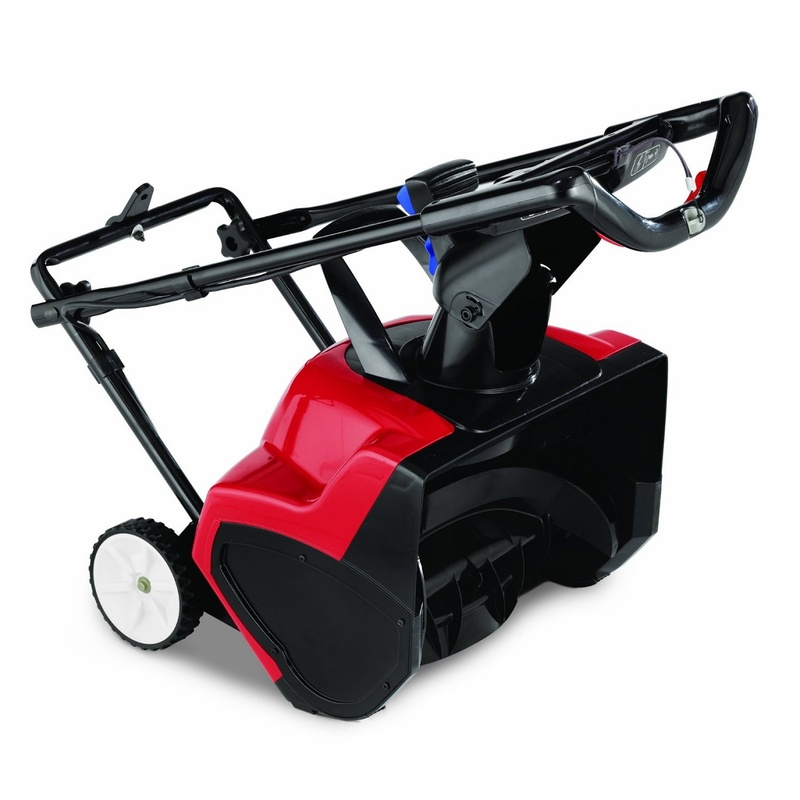 Due to this feature, the unit is absolutely perfect for gravel driveways, step inclines, and hills as well. 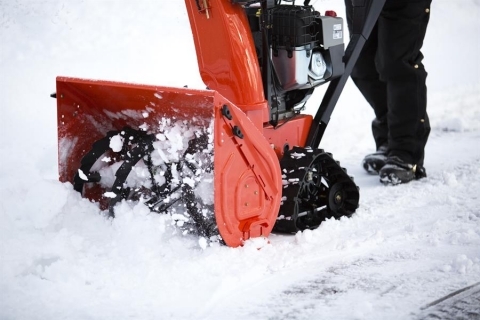 Furthermore, the Auto-Turn Steering Technology will sense if you change the direction, and it will automatically adjust the power to the inside track, in order to increase the ease of turning. 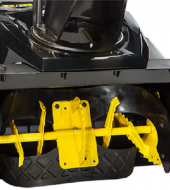 Another great feature is the Dash-Mounted chute deflector control, which will allow you to change the angle and the position of the deflector as well, from a convenient location. 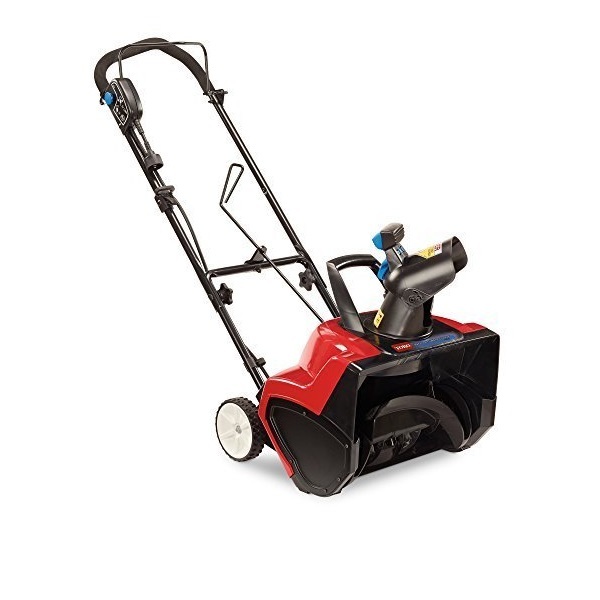 The Ariens Platinum also features a steel adjustable scraper bar, steel reversible skid shoes, steel serrated 14-inch auger, 14-inch impeller diameter, and a high-speed steel 3-blade impeller profile. 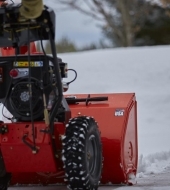 This wonderful machine is, as mentioned earlier, very easy to maneuver, due to the 5.5 inches wide directional snow track. 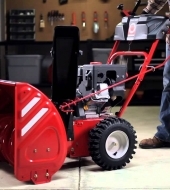 Due to the fact that it can sense any change in direction, this machine automatically adjusts the power to the inside track, so that it can make turning a lot easier. 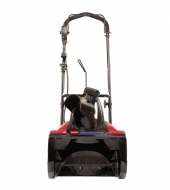 Therefore, you will not encounter any sort of problems when it comes to maneuvering this wonderful device. Furthermore, no matter how cold it is outdoors, your fingertips will be kept warm due to the deflector hand warmers. With this machine, you will definitely remove heavy and wet snow with ease, and in a short period of time as well. 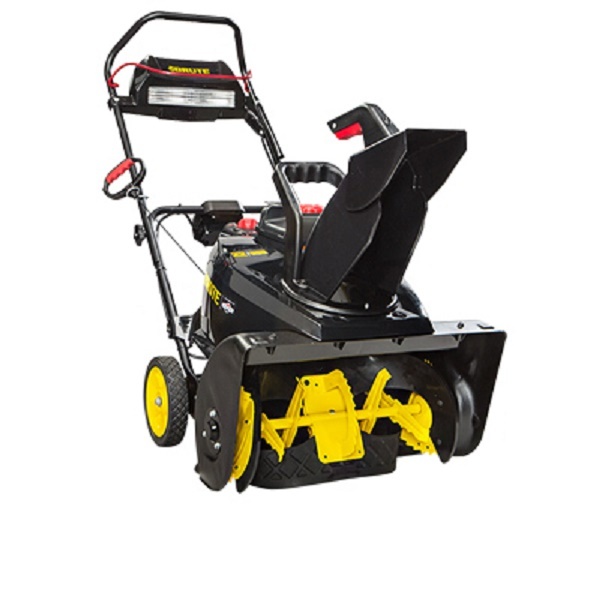 If you want a massive machine that will help you get rid of huge amounts of snow, then this product is without a doubt exactly what you need. 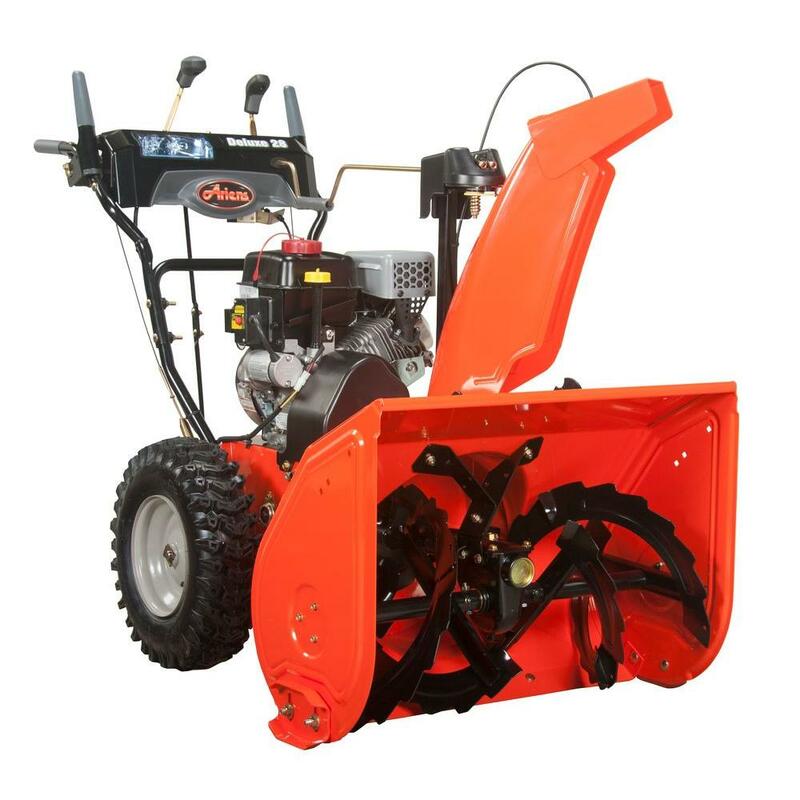 It is big and powerful, and due to its Directional Snow Tread Track tires with 5.5 inches W, you will not encounter any sort of problems in maneuvering the unit on wet and heavy snow. 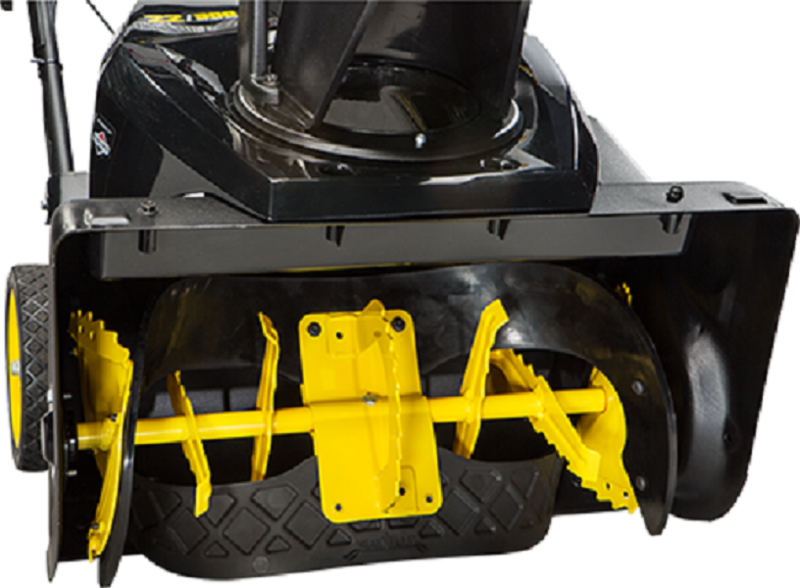 It weighs 306.3 lbs, and measures 45.3 inches high, 29.9 inches wide, and 58.5 inches long. 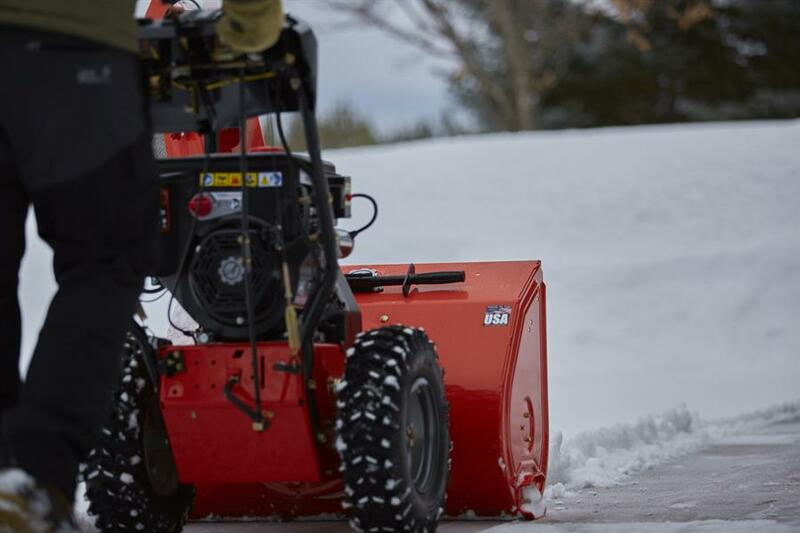 The hand warmers will definitely keep your fingers toasty warm during operation, no matter how cold it is outdoors. 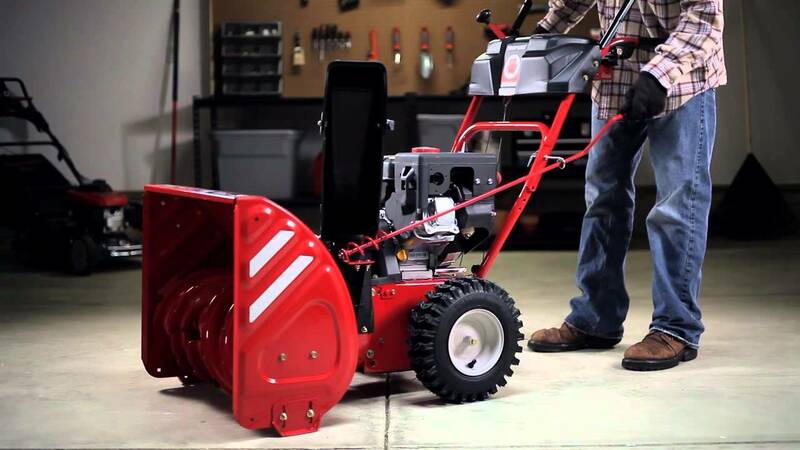 The Ariens Platinum 28″ SHO has a 3-year limited warranty, excluding commercial usage, which actually carries a 90-day limited warranty. The gear case has a 5-year Cons/1-year Comm warranty. 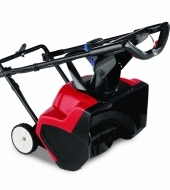 Further information and support can be found on the manufacturer’s official website.